 I have been in student government for as long as I can remember, this truly is a passion of mine and something that I want to continue on in college, I would be very proud to represent the largest incoming class at Butler! My greatest strength is that because I have moved around my whole life and been to three different high schools, I am very open and excepting to all walks of life. My plans if elected would be to unite the first year class of 2020 and help our class to celebrate the diversity within. I am applying for this position, because I feel that I could help make an impact in a big way. All throughout my high school career, I tried to participate in activities that would have an impact on another person. I am passionate about helping others. Throughout my high school career I obtained over 900 hours of community service. In doing this, I grew as a person and impacted others in my community as well. I wish to continue making an impact, but now in Butler’s community. My greatest strength is that I am compassionate. I tend to express this through volunteer-ship and my actions. My compassion towards others is why I make a lot of decisions that I do, as well as why I am striving to be a doctor. If I was elected, I would like to first work on getting all students more involved on campus. Building a relationship with your peers is immensely important for mental health. I would also help organize and host a regular philanthropy event, such as a monthly trip to a food pantry or homeless shelter. In doing this, students will be able to gain a strong foothold within a certain association, and give their time more often. I would like to hold a leadership position because it would be a great experience and I could continue leading people just like I did in Boy Scouts. In addition, it would look great on a job application. My greatest strength is leadership; I really enjoy that experience. My goal will be to talking to a random sample of people and see what their desires are. Thus, I will make more people happy. I would like to lead my class with motivation and strength. I believe that unity comes from a strong leader who is passionate about serving others. My greatest strength is my mental strength. I have struggled with various mental disorders, yet I come out on the other side and grow from such experiences. My plan would be to create a positive environment where change is made. A goal of mine would be to make sure each first year student is involved in at least two organizations that they are passionate about, and from that grow into who they want to be as individuals. I wish to be more involved and, in any way, help the fellow class members of 2020 have a good, fun, and safe college experience. My strength is that if a leader is needed I will willingly step up and I am good at following directions. My goals: I would like to help fellow first years have to best experience in college; pave the way for future first years; keeping SGA growing in terms of ideas. this position is already filled by a class officer representative.